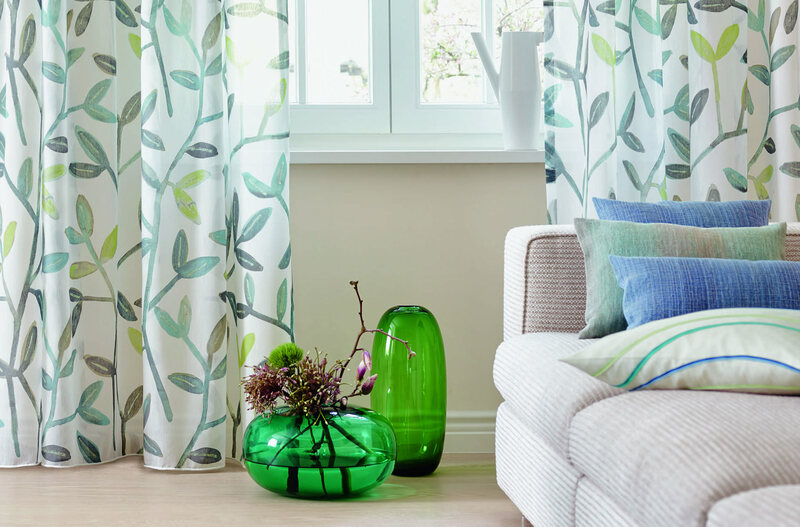 We produce and often hand-finish a wide range of soft-furnishings including curtains, soft blinds, cushions and other accessories at our premises in Oxfordshire, England. Products are custom made for each individual client using your own fabric if required. 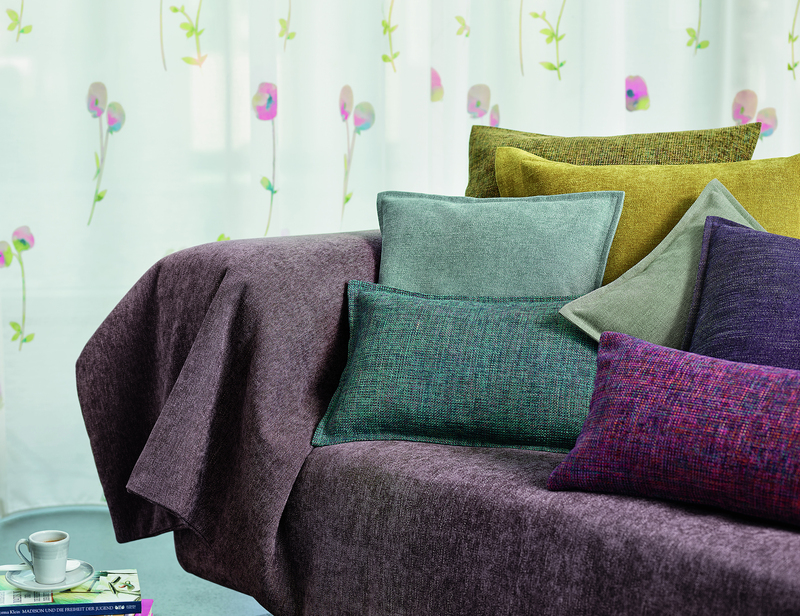 Alternatively Window Dressing Oxford can help you select from a wide range of beautiful fabrics of the highest quality. Examples of fabrics are shown on some of the articles pages on this website. If you are considering adding or upgrading light coverings over large picture windows see our post about recent post about beautiful voiles for spring. Many colours styles and patterns are available. A few more examples of light summer styles are included below. 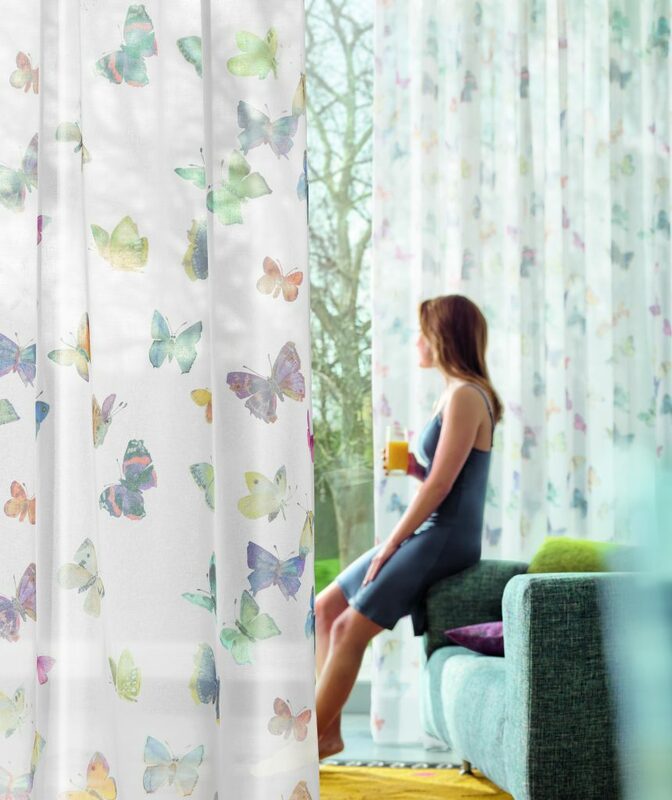 To find out more about how we can turn your window dressing and associated soft furnishing ideas into reality, please contact us.